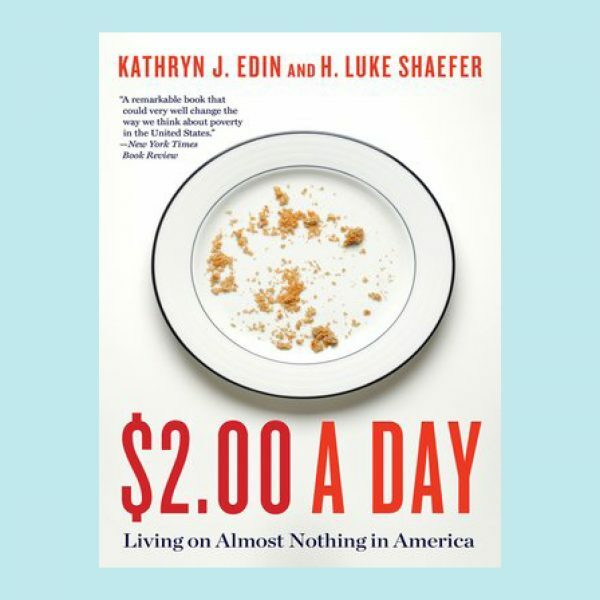 Episcopal Community Services and the Advocacy Committee of our Board of Trustees welcome you to join us over the summer months in reading $2.00 A Day: Living on Almost Nothing in America. For those of us in this work, for those we serve, and for the 25.7 percent of Philadelphians living below the poverty line, $2.00 A Day is a read that hits close to home. In it, Edin gives a harrowing look inside the grim reality many families face. “After two decades of groundbreaking research on American poverty, Kathryn Edin noticed something she hadn’t seen before—households surviving on virtually no cash income. Edin teamed with Luke Shaefer, an expert on surveys of the incomes of the poor. The two made a surprising discovery: the number of American families living on $2.00 per person, per day, has skyrocketed to one and a half million American households, including about three million children. In the weeks ahead, we’ll send reflective questions to enhance your reading. We welcome your thoughts and opinions of the book, so as you read $2.00 A Day, email advocacy@ecsphilly.org to let us know what you’re thinking. Is there a person you can relate to most in this chapter, either Modonna or any of the people included in the history of welfare policy? What is it about them that you can relate to? Why do so many Americans dislike programs labeled as welfare? If you were put in charge of creating a government system of aid for families like Modonna’s what would it look like? Susan and Jennifer’s job searches were likely hindered by the color of their skin. Have you ever felt that your appearance hurt your chances of getting a job or a promotion? What was that like? Why did Rae like going to work so much? Have you ever felt like work was an “escape” from something else? What types of principles do you think should guide action—either by government or private charity—to try to improve housing options for families with low-incomes and especially in $2-a-day poverty? If you were offered a job and could take: $55,000 cash; or $53,000 in cash plus $4,000 in SNAP (for a total of $57,000) which would you choose and why? What does this chapter tell you about the existence of racism in the 21st Century? Were there things that surprised you in this regard?